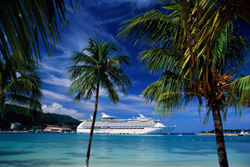 Travel Insured International, a leading travel insurance provider, provides tips on how to protect cruise season vacation investments with third party insurance. With the holiday season officially over, many individuals are looking to plan their first trip of the year during Wave Season 2015. The travel and cruise industry has officially launched “Wave Season”, which lasts from January to March and features some of the best deals on cruise ship vacations that are offered all year round. While thoughts of cruising to tropical and foreign destinations may be on travelers’ minds, being prepared for the unexpected and for personal safety may be the real way to enjoy a stress free cruise vacation. When traveling during Wave Season, is important to remember that cruise lines cannot be forced to assist their passengers in any way. A comprehensive travel insurance plan from a third party company would likely cover most of the problems experienced while traveling. Travel Insured International, a leading travel insurance provider, shares a few tips on how to protect your cruise vacation investments for 2015.
Credit vs. Refund – Cruise tour insurance often provides reimbursement in the form of credits when you are forced to cancel your trip completely. A traveler may be interested in using the credits towards another trip, but by purchasing a third party travel insurance policy you can be reimbursed up to 100% of your total trip cost with a policy that included Trip Cancellation and Interruption. Limited Coverage – When dealing with insurance that covers emergency medical assistance, the cost covered drastically differs between policies. With a more extensive travel insurance policy, a traveler can be covered with a much greater maximum limit which could save them from arriving home to a hefty medical bill if an emergency were to occur. It is also important to remember that most health care plans do not cover an individual while traveling abroad. Transportation – Travel coverage that is not purchased through a third party company will not cover any other transportation accommodations including flights or rental cars that a traveler may have planned in order to join the cruise. Extensive travel insurance was designed to protect travelers from the moment they leave until the moment they arrive home. Travel Insured International, a leading privately-owned travel insurance provider, urges travelers to invest in the insurance policy which suits them best before embarking on future cruises. Travel Insured’s policies can offer coverage for a great number of disruptions, emergencies, and unexpected costs including tip interruption, missed connection, lost or stolen luggage, damaged personal items, pre-paid travel expenses, rebooking, sudden illness, and even medical evacuation.